So much for my air travel shopping tips as the holiday airfares have already risen. I’m seeing $700 to $900 for the flights I’ve been pricing and the ones leaving mid-day are gone. I think I’ve waited too long to confirm my son’s trip home because at one point a few weeks ago I had a $324.80 round trip matching pretty close to his days off. After procrastination, I saw those tickets go up $100, then $200 and now they are now gone (truth be told, he wants to stay a couple more days anyway). In order to save a few bucks, I’m now shopping airports a couple hours a way in hopes to find flights that might work … since our family is coming and going from all points anyway. Unfortunately getting everything to line up is challenging as there are several different family components to coordinate along with work schedules. The point of my rambling is to suggest booking early if you know what days you want. 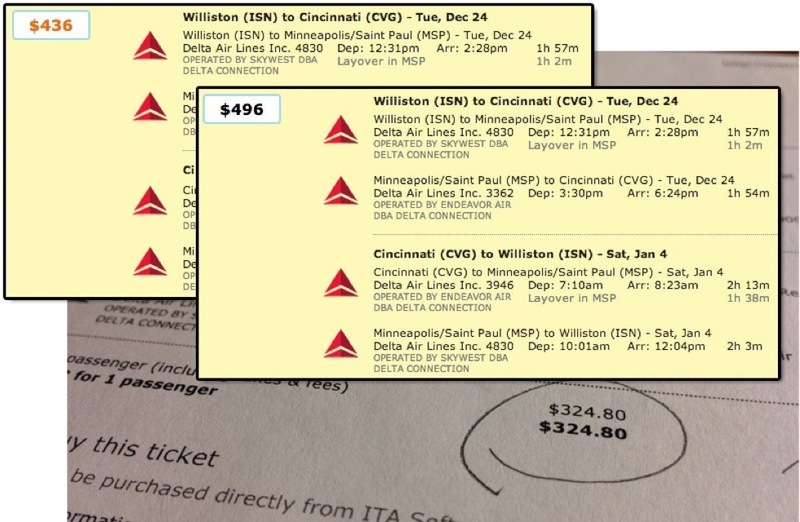 There is no question that ticket prices keep going up as the Christmas holiday nears.